The ladies licensed Transformers t-shirt at Kmart for $12, with a faded look... in a heap of sizes, as I saw 6 to 22, and there could be more. Hmm, was that the only Transformers design for the women's t-shirts? If so, I likes the Soundwave one better. I wonder why the smaller (womens) t-shirt is $2 more. They certainly had more of them than the mens t-shirt in the first post (at the same store). Maybe because the cut is different. It's more fitted, and longer in the back with a scooped hem. Man, normally I'd be all over another Autobot tee but this one was pretty dull. Ended up picking the darker superman tee instead. It looks like just one mens and one womens t-shirt at this time. T-shirts are made in black? Too many. 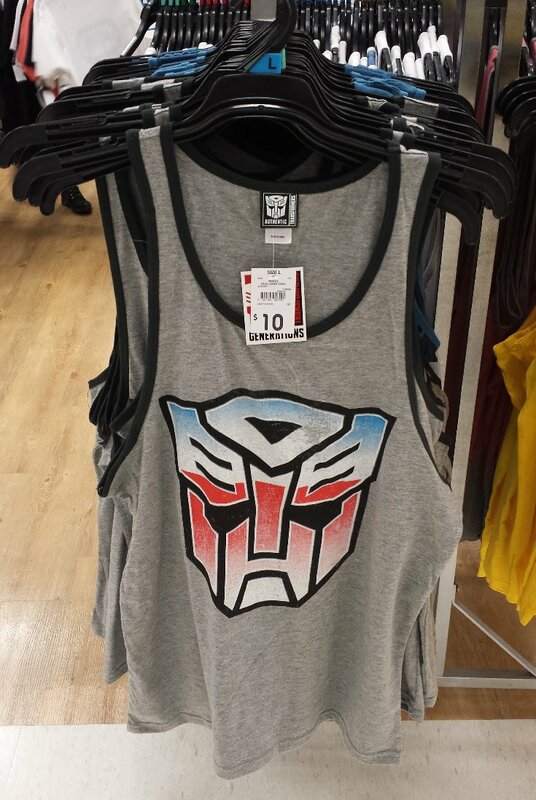 A third licensed Transformers shirt has just popped up at Kmart, for those of you who want to show off your guns... and not the sort of guns a Transformer carries. Looks like just the Autobot symbol again... for $10. With summer approaching, it would probably make for a good night shirt, for those of us further north who have 30+ degree nights in summer. I can show off my six pack... which has been converted into a keg. 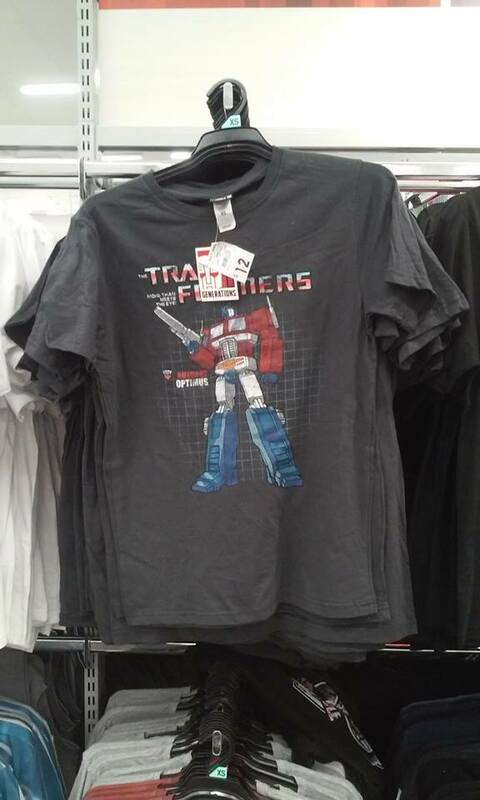 A third Transformers t-shirt has shown up at Kmart, this time an Optimus one, for $12... which is unusual, as the Soundwave one is just $10. This photo was posted up in the sightings section by member hypnos. Last edited by griffin; 3rd October 2016 at 11:04 PM. This photo was posted up in the sightings section by member hynos. Its hypnos (forgot the p), but close enough, its Monday lol. Sorry... I didn't realise I left out the P... it's fixed now. Soundwave t-shirt on clearance for $5 (save $5). Courtesy of Sam McLaughlin on Ozformers facebook.